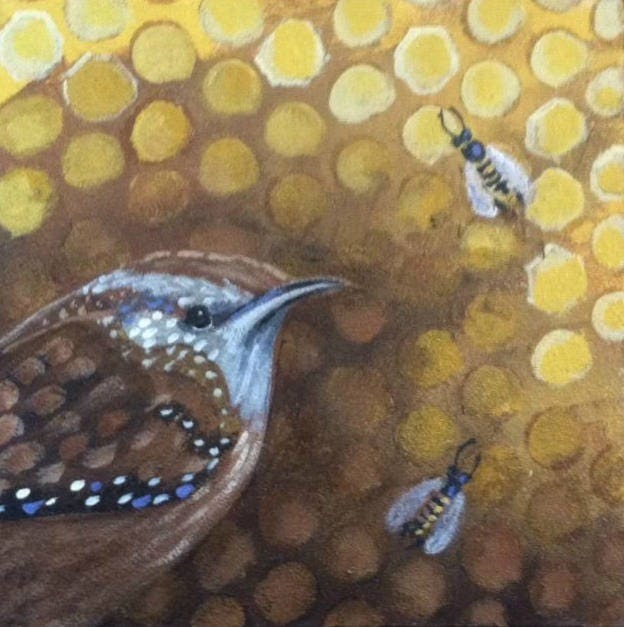 This is a painting in my Birds and Bees series. 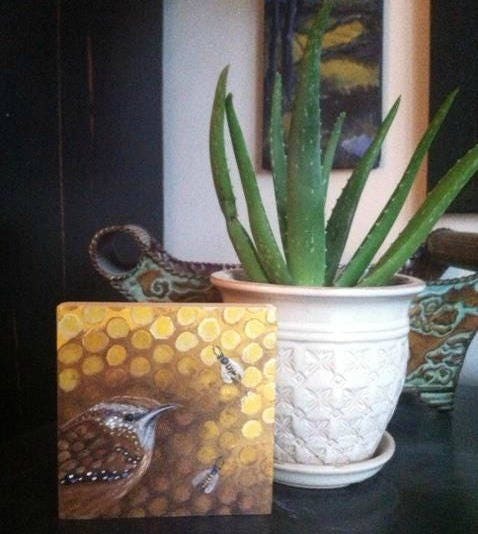 This is a sweet little wren against a honeycomb background with a few bees. It is painted on cradles wood board and is wired on the back for easy hanging. The paintings is 5" square and will fit almost anywhere.